Thursday, March 31, 1859.Lincoln, IL. 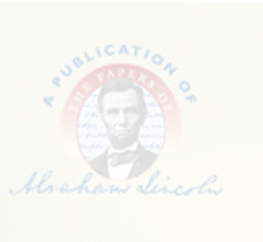 Lincoln files bill and affidavit in Day v. Skinner & Turley which he drew March 22, 1859. He also writes and files order of court by which case is continued. Files. He writes and files demurrer in Smith v. Bowman & Sewell, in which he and Parks are for plaintiff. Photocopy.